Recent studies have shown Cu(0) as a promising material for the removal of organic and inorganic pollutants. However, there is no review addressing the studies performed. 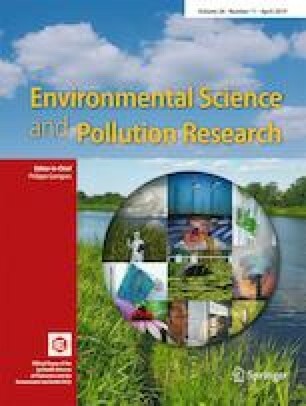 This fact may be related to the toxicity of the particles and the copper released in solution that has not motivated researchers, which entails in a reduced number of publications. However, studies point out how to solve the problem of Cu deposition in support materials. In this work, a detailed review of Cu(0) applications was performed. The specific focus was the reaction mechanisms related to adsorption, oxidation, and reduction processes. Initially, the resources that allow the understanding of the reaction mechanism, such as characterization techniques and the experimental conditions for investigation of the species involved in the process, were presented. The studies were evaluated separately, showing the mechanisms involved only with the application of Cu(0) in pure and isolated form and in association with oxidizing or reductive agents, combined with irradiation sources and ultrasonic waves and in the form supported in polymer matrices. It was verified that by the proposed reaction mechanisms, the exclusive participation of Cu(0), being the removal process, explained only by the redox behavior of copper. Therefore, the review showed the need for future research regarding the redox behavior of the contaminants. The authors thank the financial support from Conselho Nacional de Desenvolvimento Científico e Tecnológico (CNPq), Fundação de Apoio à Pesquisa de Minas Gerais (FAPEMIG), Coordenação de Aperfeiçoamento de Pessoal de Nível Superior (CAPES) and CNPq/FAPEMIG (agreement recorded in SICONV: 793988/2013). de Sousa PVF, de Oliveira AF, da Silva AA, Vaz BG, Lopes RP (2018) Study of ciprofloxacin degradation by zero-valent copper nanoparticles. Chem Pap. https://doi.org/10.1007/s11696-018-0575-7.